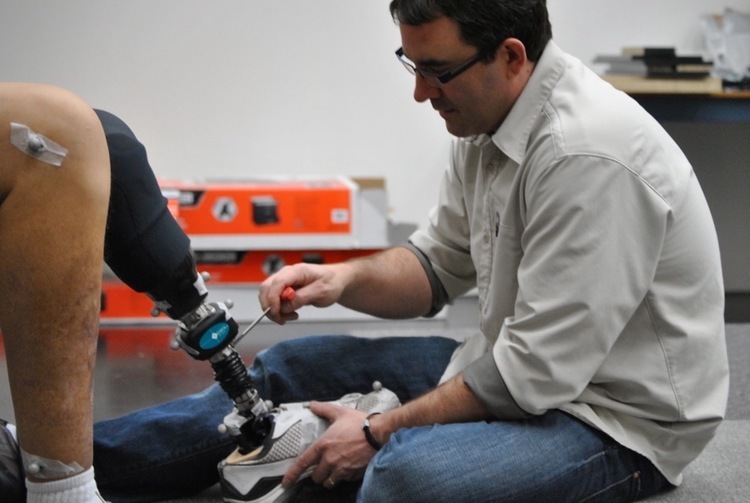 Investing in the projects of prosthetic students means Barber Prosthetics has a hand in the future of the industry. Here are a few of our recent student projects. Students in the P&O program at BCIT recognized the need to have a digital tool in order to support the use of outcome measures in practice and Barber Prosthetics could not agree more! They conducted a Canada-wide survey and a focus group to delve into this topic. A pilot study conducted with two people with transtibial amputations found that the use of a torsion adaptor considerably decreased the axial moments by allowing increased axial rotation while completing a series of tasks of daily living. Studies have found that increased heat and sweat production in prosthetic sockets leads to decreased comfort for people with amputations. This study investigated the development of a user-friendly prosthetic integrated system that allowed the wearer to directly control the temperature at the skin-socket interface. This study compared the ability of a split-toe prosthetic foot to a solid-keel to adapt to a lateral incline and identified the resulting effects on the body. Between these two feet, there were no difference in level ground walking, however on slopes where the prosthesis was uphill, the results suggested the split-keel conformed better and was preferred by participants. Want to learn more or get involved with our research?